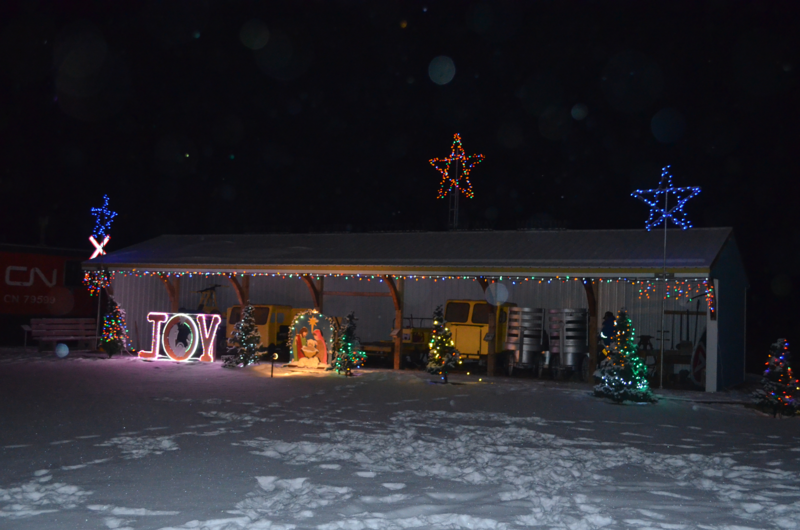 The evening air was cold and crisp, but the outdoor fire and Christmas singing made the temperature fall into the background. 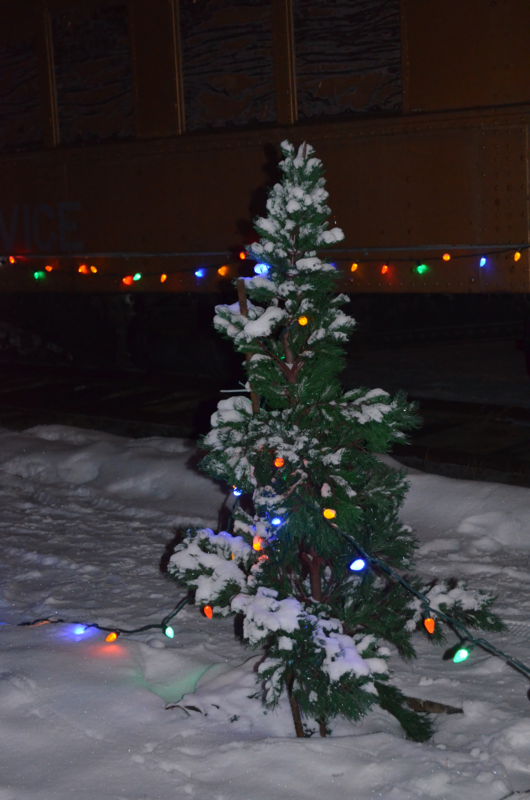 The annual Christmas light up was held at the Northern Alberta Historical and Railway Museum in McLennan during the evening of December 1. 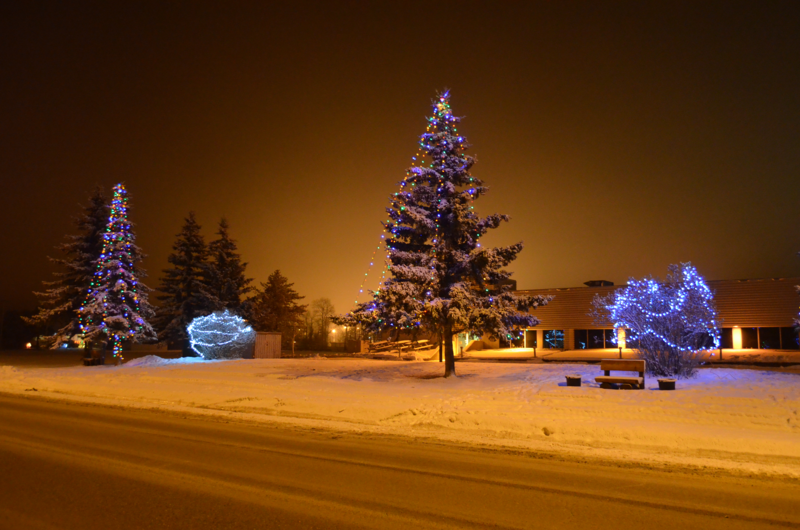 The light up took place at 7 p.m., revealing all of the strings of Christmas lights on the buildings and trees. 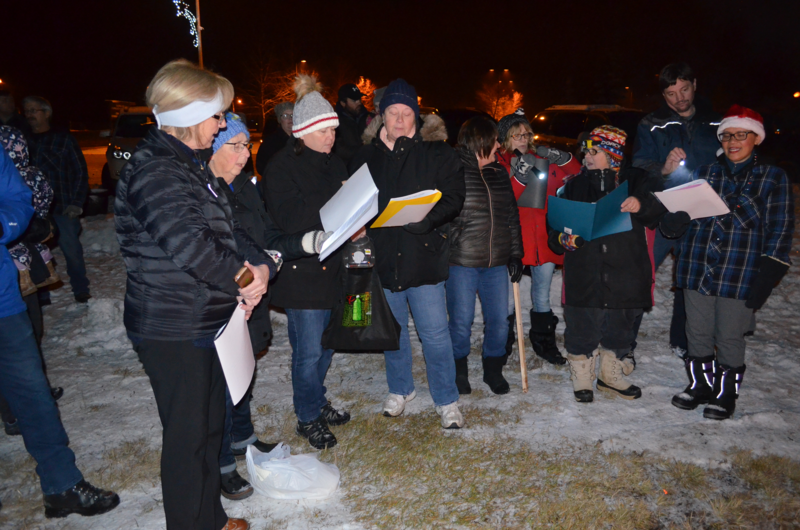 Also, there was Christmas caroling and hot chocolate and cookies to enjoy. 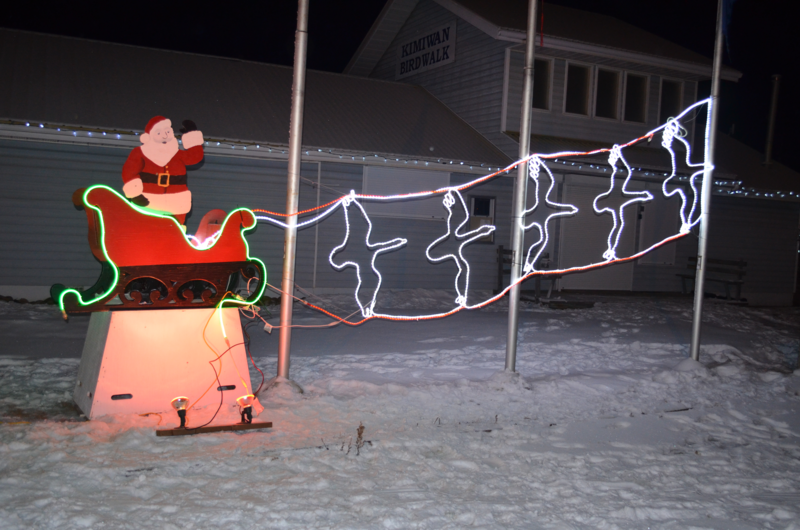 Here are some photos of the light up, as well as a couple of videos of the caroling. 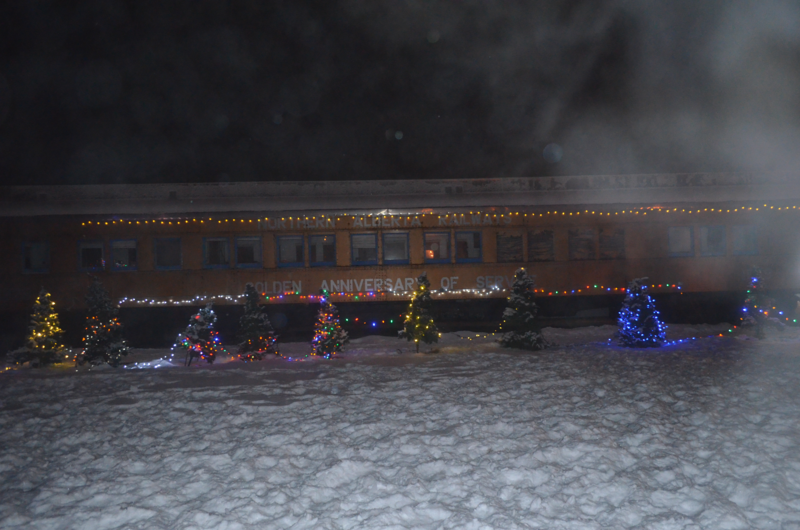 Look for a story about the event in the December 12 edition of the Smoky River Express.